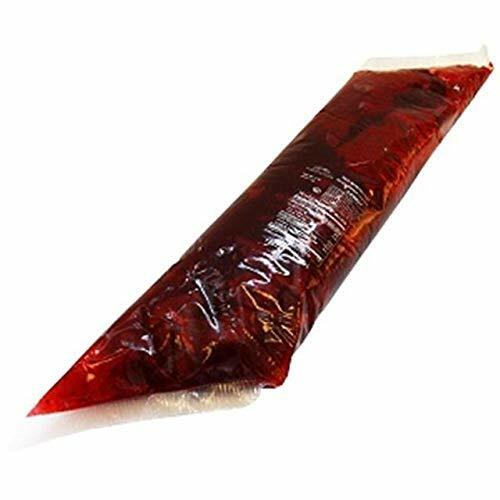 Raspberry EZ Squeeze Filling, 2 Pound each -- 12 per case Our Raspberry EZ Squeeze(R) Filling is loaded with chopped, juicy raspberries in a sweet sauce and comes packed in user-friendly 2# plastic sleeves. If you have any questions about this product by Lawrence Foods, contact us by completing and submitting the form below. If you are looking for a specif part number, please include it with your message. Mrs.Freshleys Bear Claw Danish, 4 Ounce - 36 per case. Bakers Premium White Baking Chocolate Bar, 4 Ounce - 12 per case. Richs Honey Dip Donut Glaze, 12 Pound - 1 each. Krusteaz Pie Crust Mix, 5 Pound - 6 per case. Nabisco Nutter Butter Medium Cookie Crumbs, 1 Pound - 12 per case.